Most people think media training is all about getting messages across to media audiences, but this is only part of the puzzle. This couldn’t be illustrated better than in the recent presidential debates in the US. During the first debate, most people thought President Obama lost. A big part of this was because he had his head down when his challenger Mitt Romney was addressing him. From a media training perspective, this made Obama look defeated and non-presidential. 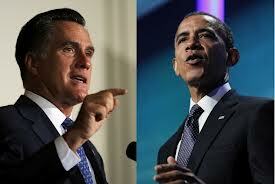 On the other hand, Romney looked Obama in the eye without appearing too smug in the process. This is something we recommend to our media training clients during media interviews. It made Romney look in control, but also someone who respected his opponent. Viewers like this. The other debate where bad body language was most evident was between the vice-presidential candidates. When he wasn’t answering a question, Vice-President Joe Biden was seen laughing at Paul Ryan’s answers. From a media training standpoint, this made him look arrogant. He may have had better and clearer messages than his opponent, but these were buried by his body language. It may surprise you to know that of what people take away from a TV interview, only 7 percent is the words. A massive 55 percent is the body language, and 38 percent the tone of voice. This is why Obama so clearly lost the first debate and Biden lost the vice-presidential one. This is why any media training course should spend a good amount time on body language and tone of voice.